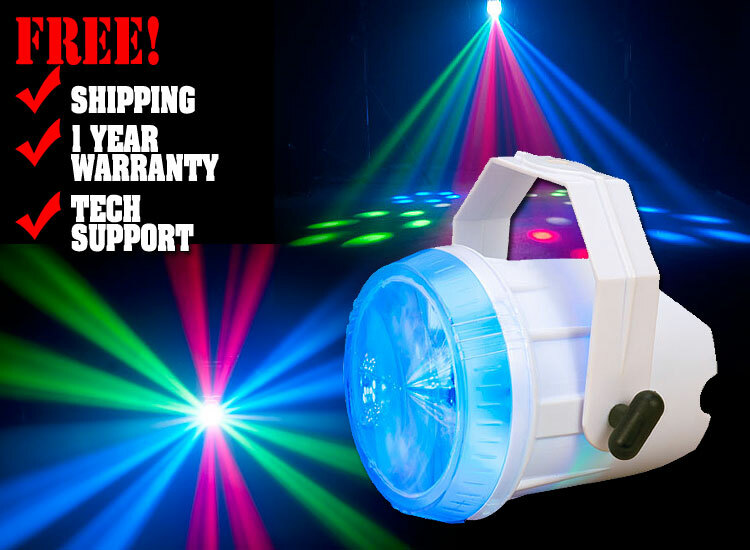 The Electro Splash is a powerful effect for clubs and DJ's. It's a light weight, compact moonflower effect. Size: 7.75" x 7" x 5"